We moved 5 years ago from South Africa to Melbourne. We saw the changes in our country and starting to see the same changes here. so we have decided to look at securing a property away from the city and go from there. Anyone want to add in here or give advice as buying land is like a mystery with all the hidden words like... Farm land... no build... and then you can have a shed abd then you can camp. I've bought rural land several times throughout my life. Currently own two blocks in NSW. Carefully check zoning on any potential blocks. Most councils will allow 'sheds' under a certain size without a permit. Some specify you cant 'reside' on those blocks, but many do without issue. Unless you have a run in with a neighbour who dobs you in. Putting 4-7 containers in a small circle facing in and leaving access gaps then covering with dirt is a far better option ! I would advise against putting a container underground. The roof of my new container is so weak it flexes under my 76kg weight. Only the corners and edges are reinforced. They would need a lot of work to withstand being buried. Also the floors are only timber. I expect even Grumpy's suggestion of earth covered above ground containers would need significant reinforcement. 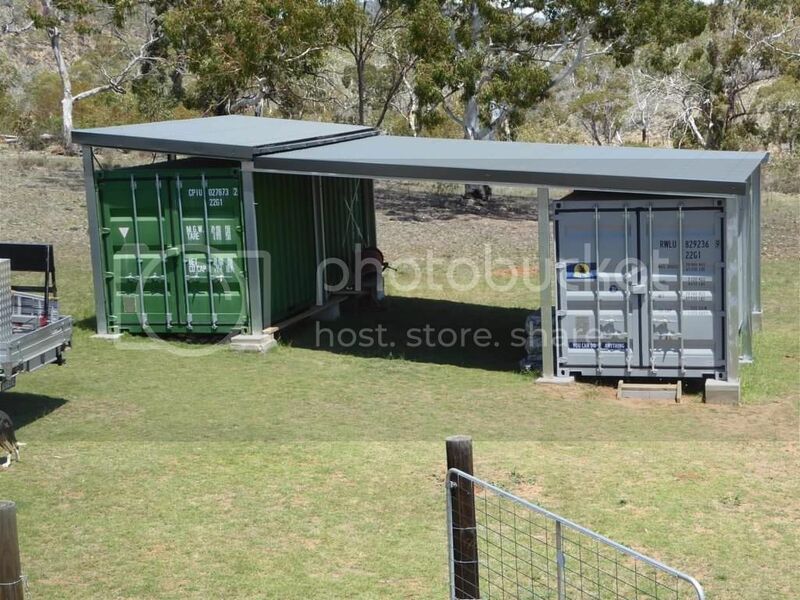 Good luck trying to get council approval to bury those containers. I hope you like paperwork. If I was planning on doing an earth covered 'bunker', I'd be seriously looking at pre cast concrete culverts. They are designed to fit together and take a lot of weight. All you need is a slab floor and fill in the ends with either core filled besser blocks or form up around a door cavity and pour concrete. Or if you have the dollars then it doesn't get any easier than a pre-made wildfire bunker from one of the specialist companies in Vic who build and install them. If you want protection from severe weather or fire then earth covered in the way to go. If you want protection from 'zombies' then tney are a death trap.